This is a rectangular Oh Boy Gum porcelain sign. This particular Oh Boy Gum sign is predominantly white with black text. 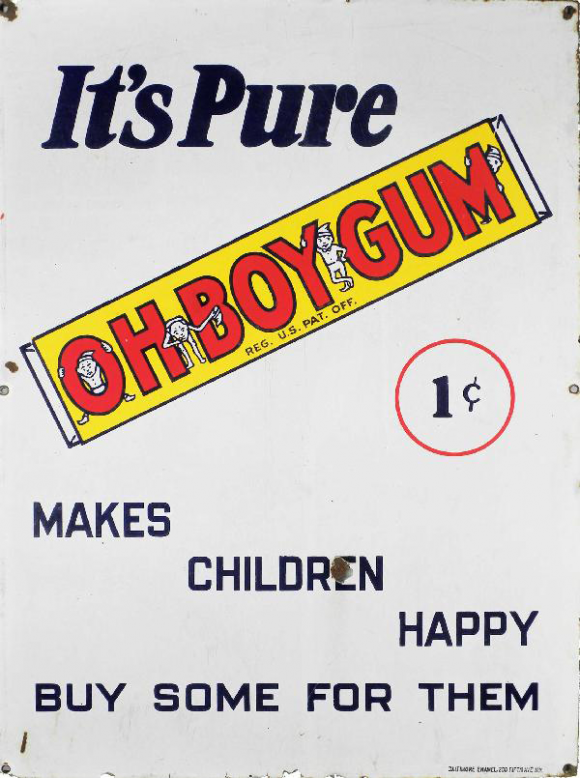 It reads, “It’s Pure, Oh Boy Gum, Makes Children Happy, Buy Some For Them, 1 Cent” and features a yellow pack of Oh Boy Gum in the center.